My friend lives across the street from a high school. Not only that, he lives across from the opening in the fence where everybody goes in and comes out. So I find stuff there all the time. 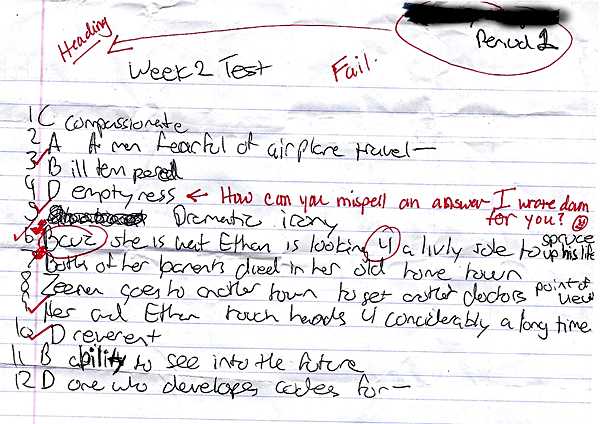 This test in particular makes me laugh whenever I read the teacher’s comments. The teacher misspelled “misspell” while reprimanding the kid?